Jefferson Pointe cluster homes feature prime location! Within walking distance to Medina Square, take advantage of a private setting yet close to all the hot spots! Jefferson Pointe condos are well maintained and offer the ease of condo living. No more spending summers landscaping the yard or cold winters shoveling snow! These condos provide maintenance free living at its finest! Choose from one of the two to three bedroom floor plans at Jefferson Pointe. With spacious functional layouts, these condos are modern and charming. Great rooms have high-rise ceilings that add a dramatic effect to your living space! The added skylights offer more natural light to give your home a bright and airy feel. Gas fireplaces add warmth and style, perfect for gathering around during the cold Ohio nights. Open kitchens provide elongated counter tops, gleaming oak cabinetry and modern appliances. Enjoy entertaining guests in the separate dining area. Step out onto your private deck and enjoy the fresh Medina air! Bedrooms are spacious and feature neutral colors, easy to personalize to your liking! Master suites are generous in size with walk-in closets and private baths! The Jefferson Pointe condos offer such a private setting; you won’t believe you are so close to all the excitement of downtown Medina! Take advantage of price and location! 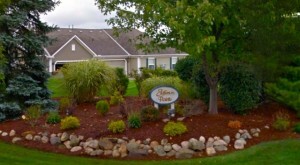 Just minutes away from your serene setting you will find all Medina has to offer! Enjoy shopping at unique shops, dining at fine restaurants and taking a stroll around the Medina’s Historic Square! Commuting from Jefferson Pointe is no problem at all with highways a turn away! With top rated schools, plenty of recreational activities, nightlife and beauty, make Medina the place to call home! Call one of our Medina specialists today and find out more information! Contact us for a private showing of Jefferson Pointe Condos for Sale.